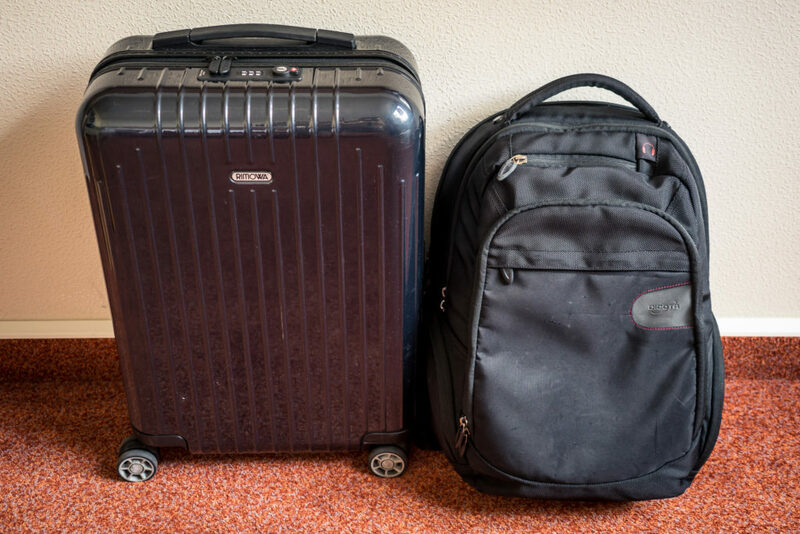 My luggage consisted of a Rimowa Salsa Ultralight Cabin Multiwheel (dimensions 55 x 40 x 20 cm) and a Dicota Notebook Backpack Light (dimensions 47 x 33 x 20 cm). The size of the luggage was fine, but the Rimowa weighed 7.4 Kg and the Dicota 5.4 Kg, for a grand total of 12.8 Kg. He used the term “caught,” seriously… Like I was committing a misdemeanour. At this point, I avoided answering to be polite. I gave them the Rimowa and paid the 400 NOK fine fee. Yes, according to the rules, I was wrong and they were right. Yet, since my ticket included two pieces of checked luggage, they should have avoided treating me like I was trying to abuse the system. 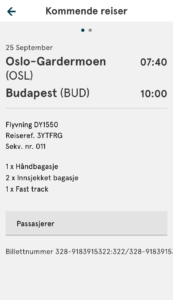 Besides, given my risk of missing the train to Bratislava, they could have shown some consideration. Eventually, I lost 20 minutes to collect my Rimowa at Budapest airport. Fortunately, I managed to catch the train at the last minute, but I arrived at my destination with a lot of unnecessary frustration and stress. I have never experienced anything like this in my ten years as a frequent traveller. Not even Ryanair has fallen so low. One thing is certain: from now on I will give priority to SAS and other airlines over yours. I have some friendly advice: stop this excessive strictness right now. Your hard-line policy seems to aim at exploiting customers rather than offering them a better service, which may give you the reputation of being cheap—as in “of little worth because achieved in a discreditable way”—rather than just low-cost. Getting rid of this reputation is extremely difficult, especially among business passengers, and you do not want to be placed into the same basket as Ryanair. My first flight (and last one) happened in May 2018 from NYC to London. I will never ever book flight with this company again. I don’t have energy to describe what exactly happened, but I have to agree with everything you said. Employees are rude, lacking any empathy. They don’t bother to provide information about 24 hours delays, or any other consequent delays. I remember how they stressed someone with wrong information that he needs visa to Germany. They almost didn’t let him to check in! They really know how to make your life difficult. I am flying often, and I never experienced anything like this before. As I said, it was my first and last flight with them.